Do Students Have a Bad Reputation When It Comes to Alcohol? Although alcohol consumption usually begins before students arrive at college, pressure to misuse alcohol is often intensified when students start third level education. With college comes a new sense of freedom, a lack of parental intervention and a whole host of fresh faces. This new-found sense of freedom can dramatically increase alcohol consumption because students are independent with unlimited freedom of choice. They no longer have to creep into their homes intoxicated, trying not to make noise or wake Mammy and Daddy at 3am. The vast majority of socialising during the student years revolves around alcohol. Whether it be a mid-week catch up in the college bar or a Saturday night out in Coppers, alcohol seems to be the glue that bonds students together. Even college societies offer free drink on certain nights or organise a gathering in the college bar after meetings. If you’re not much of a drinker, it can be difficult to say no as it just seems to be everywhere. If you never drink, questions are raised despite how understanding your peers may seem. 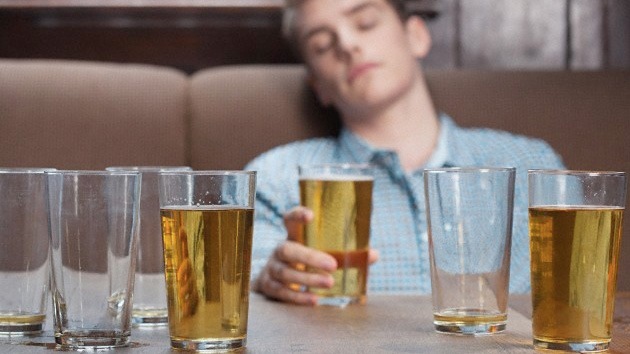 Young people are fascinated by those who choose to teetotal, but in reality there are many sober students and contrary to popular belief, they can be equally as much craic as their alcohol drinking buddies. The drinking culture amongst Irish students can be particularly lax. Drinking can sometimes appear to come as second nature. Given that most students fall into the category of ‘flat broke’, pre-drinking prior to going on a night out is a social norm if not a social necessity. It is simply not questioned. Pre-drinks can be the perfect mixer before a night out or they could be a recipe for disaster, there seems to be no middle ground. It is either a nice gathering of people having a few drinks to break the ice or it’s a messy night full of unpredictable guests and yet nobody questions it. Events such as RAG week have highlighted the worst parts of student drinking. National newspapers and online publications reel off horror stories of binge drinking and alcohol related accidents, but do students really have a volatile relationship with alcohol as depicted by the media and casual onlookers? Some students tend to depend on alcohol as a social crutch. Starting college alone, on the other side of the country would be a daunting prospect for anyone, but each person will manage the challenge personally. Going to a house party to meet new people has merit. What is a bad idea, though, is drinking excessively. Usually it is difficult to tell if you have consumed beyond your threshold. You still feel sober but your naggin of vodka is gone, so naturally shots seem like a good idea. Wrong! Give yourself a breather, maybe go outside for a minute and you will be able to gauge just how drunk you are. Life-long friends are rarely made on nights that you are falling around the place, slurring your words. Drinking alcohol does not impress people and it is not a reason for doing so. Some students turn to alcohol as a coping mechanism, whether it be subconsciously or not. Stressful times such as essay deadlines, exams or even problems back home can cause an understandable amount of worry or anxiety, however alcohol will not negate the stress. If you find yourself drinking yourself into oblivion it might be time to reassess your drinking habits or seek help. Having a few sociable drinks is a pleasant experience when done in moderation. There are a couple of things that everyone should bear in mind when it comes to alcohol. Nobody needs alcohol. You either want it or you don’t, for whatever personal excuse you may have. You should never feel pressured into drinking. If you choose to stay sober, stay strong and stick to your guns. Sometimes you will encounter people who don’t understand your motives but you don’t need to justify your approach to anyone. Always drink responsibly and with safety in mind; especially over the Christmas / New Year’s break .